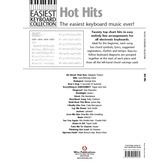 The Easiest Keyboard Collection is the best way to learn twenty Hot Hitsfrom the current charts. 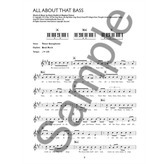 Ideal for beginners, each song is arranged for all electronic Keyboards with an easy melody line, chord symbols, lyrics and lots more invaluable information. 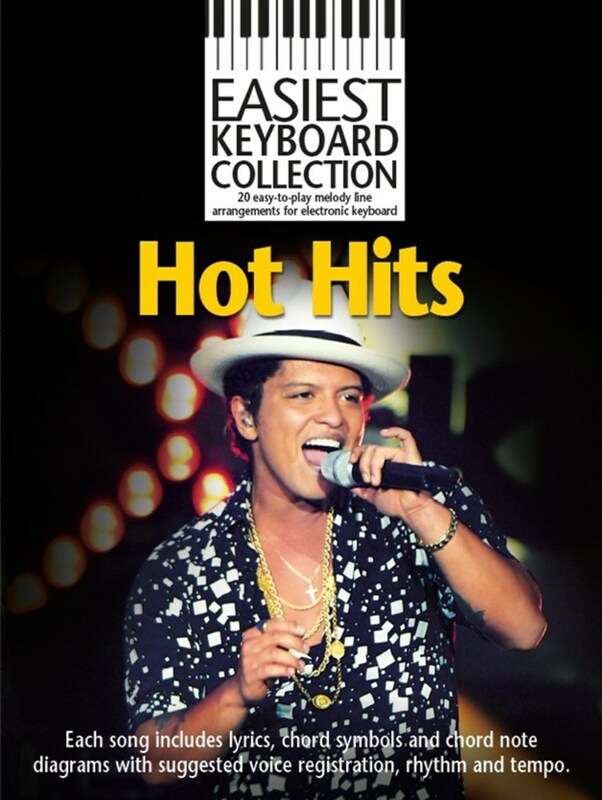 Featuring songs that are popular right now, the Easiest Keyboard Collection: Hot Hits will allow you to play songs like All About That Bass, Hold Back The River, Shake It Off, Take Me To Church and LunchMoney Lewis' fantastic Bills. 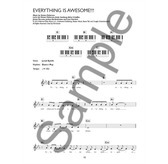 Not only these, but some great tunes from popular films can be found inside, like Tegan and Sara's Everything Is AWESOME!!! 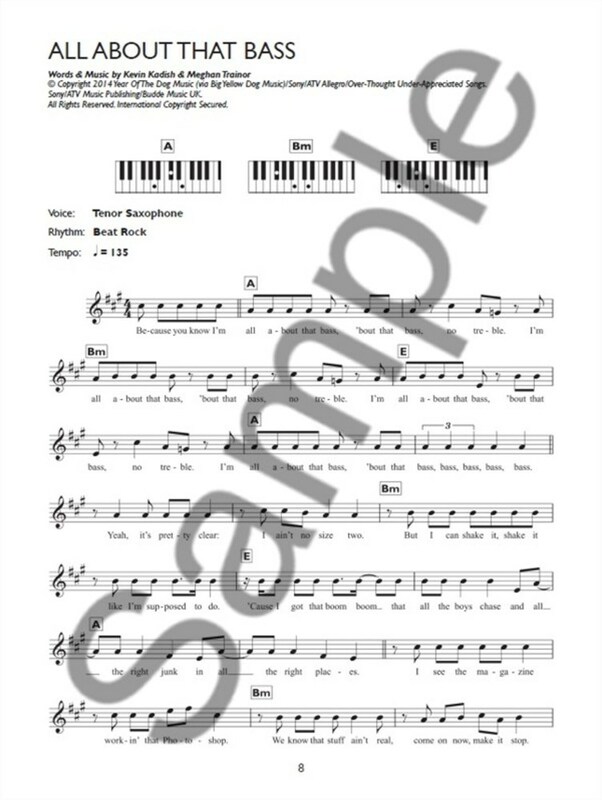 from 'The Lego Movie' and Wiz Khalifa's emotional See You Again from the seventh 'Fast and Furious' instalment. 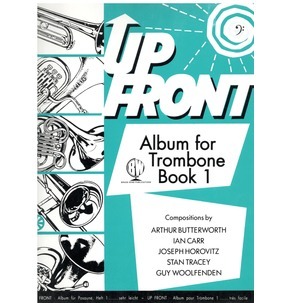 As well as the large selection of popular songs, what makes this collection unique is the way it helps you to sound as close to the real thing as possible. 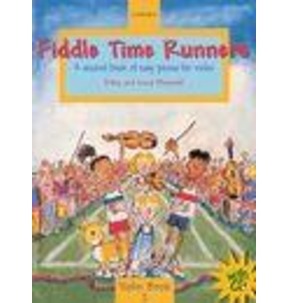 Each song includes chord symbols, lyrics and suggested voice registration, rhythm and tempo. 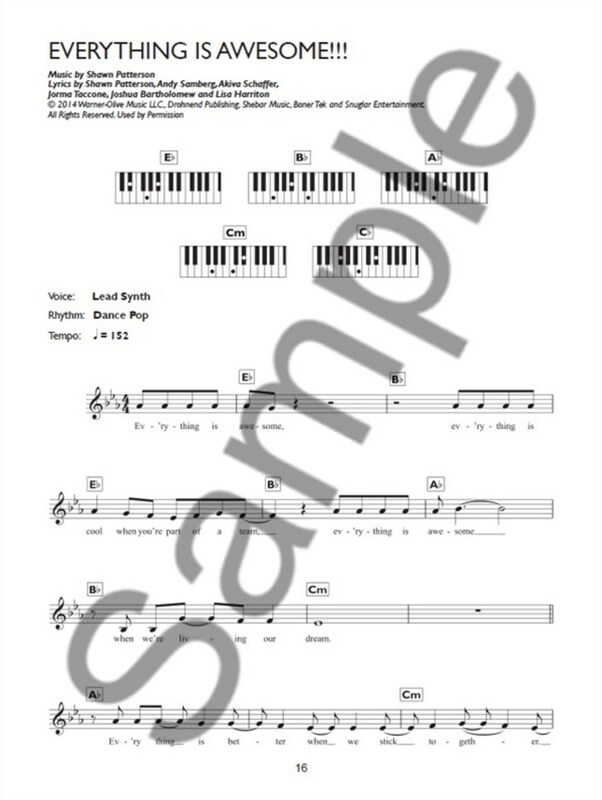 Not only this, but easy-to-read Keyboard diagrams are given at the beginning of each song so that you can instantly see the left-hand chord voicings used. 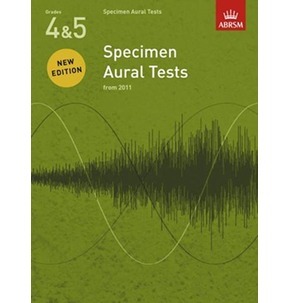 The Hot Hits songbook also includes a wealth of useful information at the beginning that you can use to brush up on your general theory knowledge. 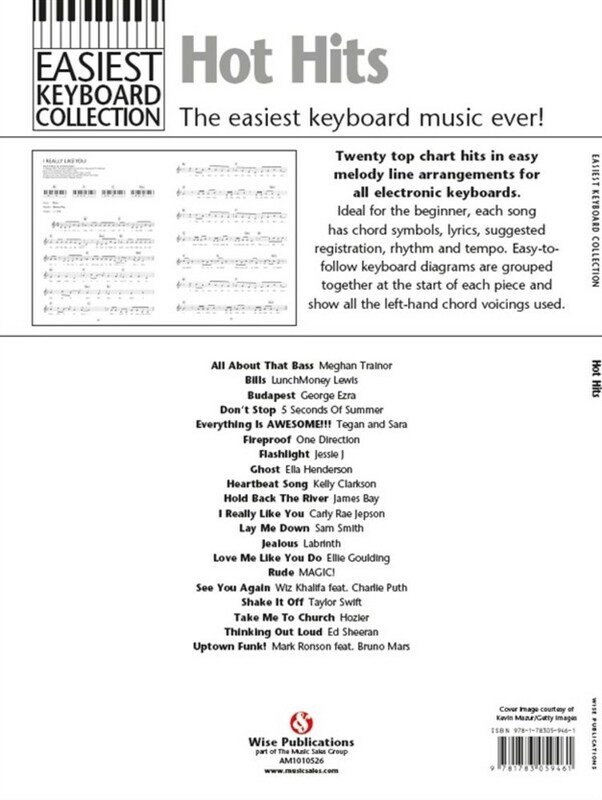 With at-a-glance information about the grand staff, different note values, time signatures and key signatures with a handy note guide, the Easiest Keyboard Collection is the quickest way to learn a great selection of Hot Hits while getting better at the Keyboard at the same time. 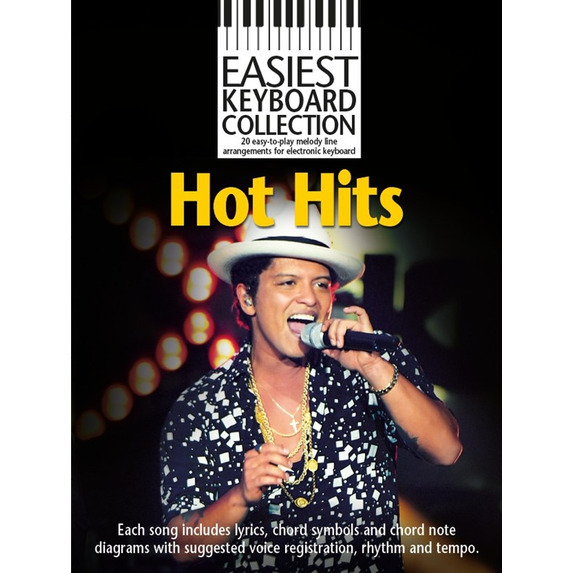 With 20 of the most popular Hot Hits and all the help you could want in sounding good, the Easiest Keyboard Collection makes learning popular tunes both fast and fun.